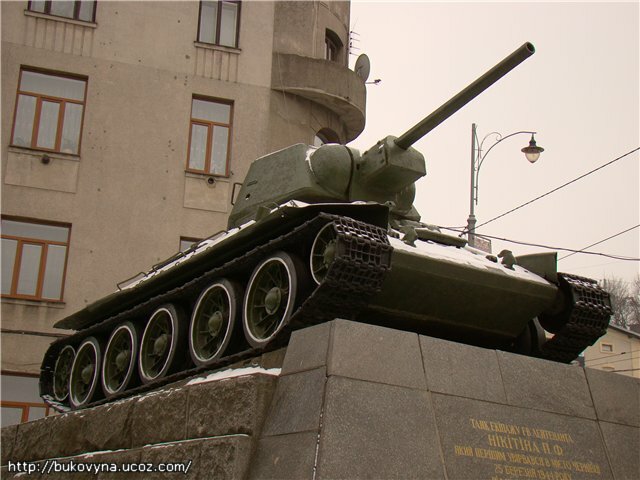 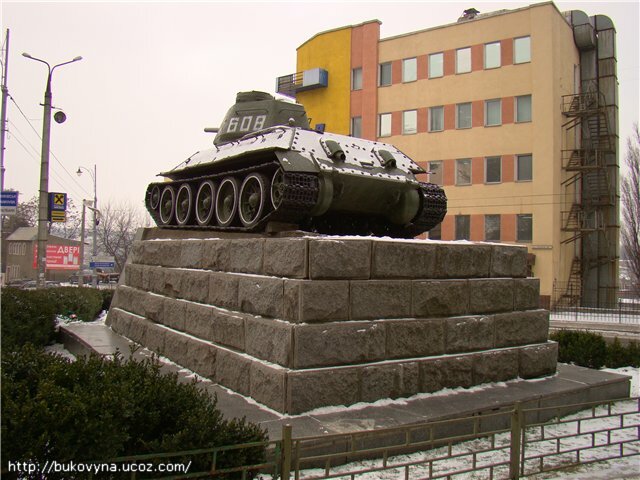 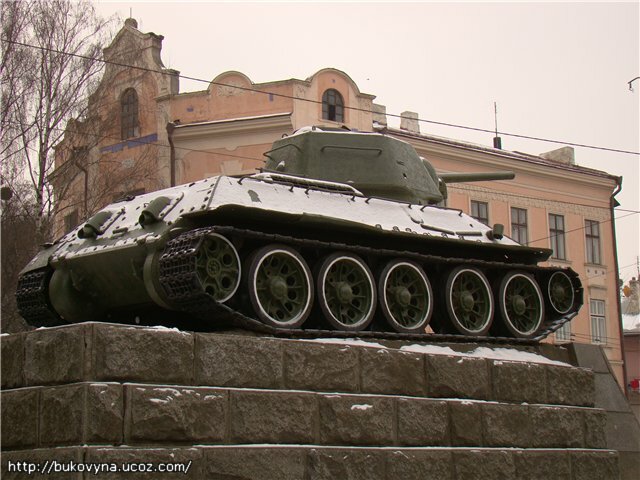 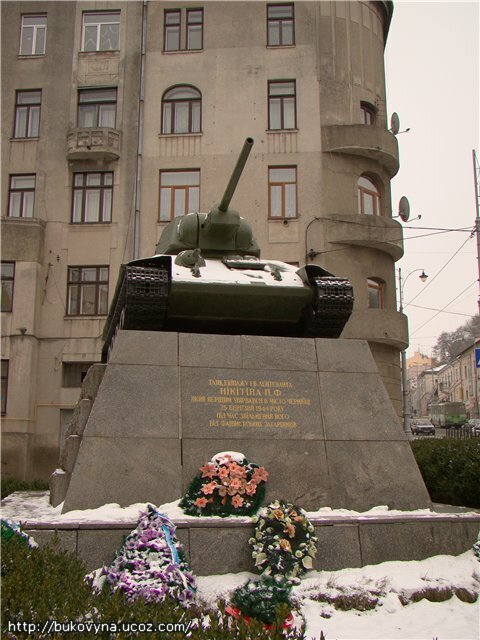 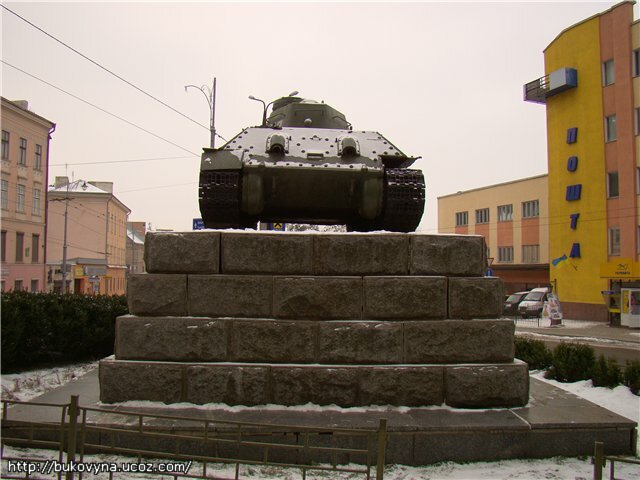 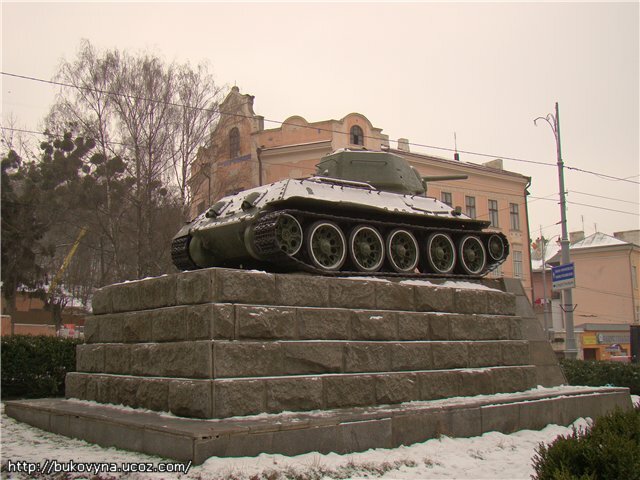 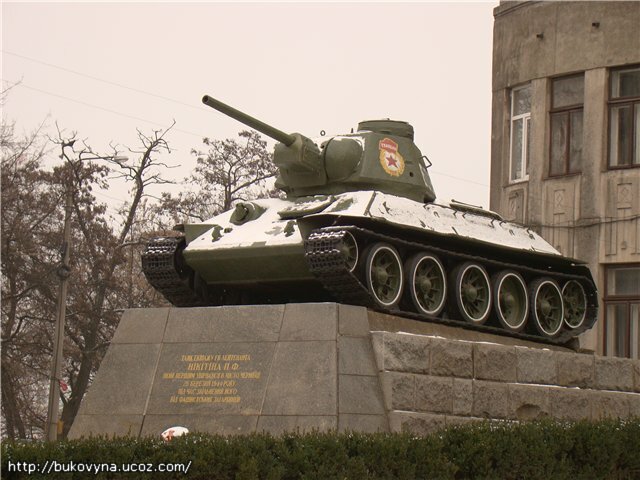 The first tank to enter Chernivtsi on 25th March 1944 when liberating it from Nazi invaders. 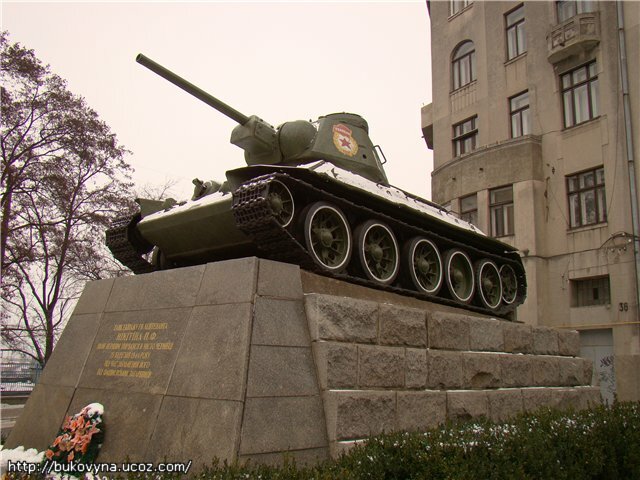 During the battle it put out of action three enemy tanks. 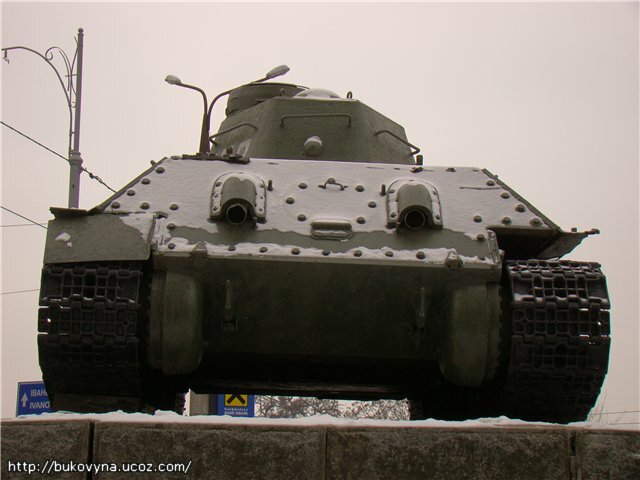 According to different sources Lieutenant Pavel Nikitin (1923-1944) died the same or the next day as a hero. 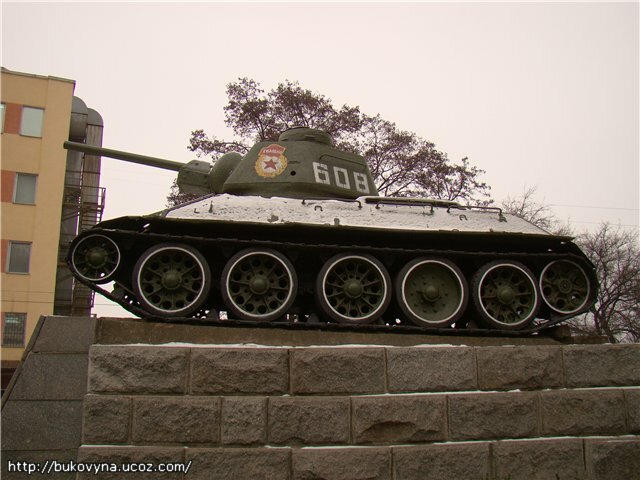 Buried on the Russian Cemetery. 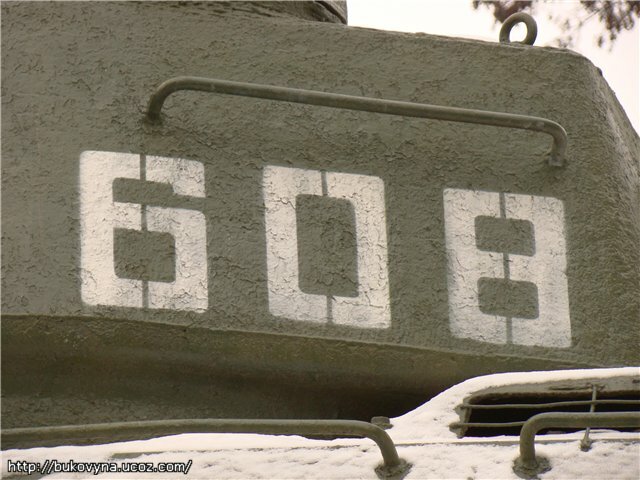 The Guard sign. 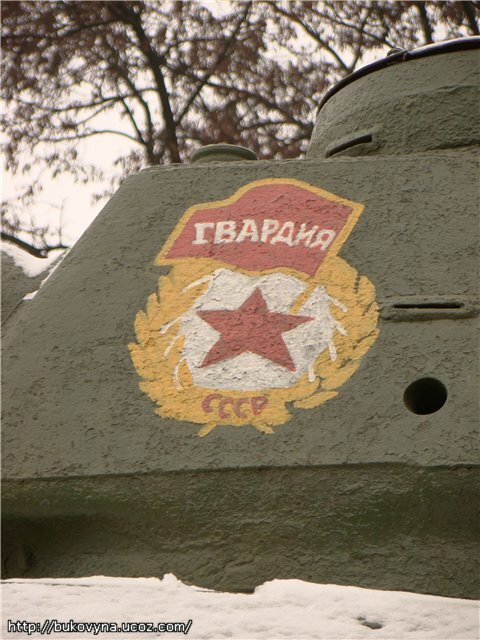 The Guard title was given to army units showing outstanding bravery and heroism in battles.